The Oberoi Beach Resort, Al Zorah featured on the digital edition of The Irish Examiner. The Oberoi Rajvilas, Jaipur featured on www.thestreet.com, USA. Oberoi Hotels & Resorts featured in the print and digital edition of Travel Weekly, USA. The Oberoi Zahra, Luxury Nile Cruiser featured on the digital edition of The Telegraph, UK. The Oberoi Zahra, Luxury Nile Cruiser, The Oberoi Philae, Luxury Nile Cruiser and The Oberoi Beach Resort, Sahl Hasheesh featured on www.luxurytraveldiary.com, UK. The Oberoi, New Delhi featured on the digital edition of BW Hotelier. The Oberoi Amarvilas, Agra featured on “50 Minutes Inside” on TF1, France. The Luxury Villa With Private Pool at The Oberoi, Mauritius featured on www.luxurylaunches.com. The Oberoi Rajvilās, Jaipur featured on the print and digital edition of The New York Times. In “A Destination Wedding With Cultural Significance”, Ms. Shivani Vora highlights that “Many couples opt for a destination wedding, but some are going a step further: They’re having weddings with all the local customs and fanfare.” adding “A growing number of hotels around the world now provide cultural weddings and vow renewals, like a Hindu ceremony in India, a shaman-led Mayan celebration in Mexico or a traditional Maasai wedding in Tanzania. 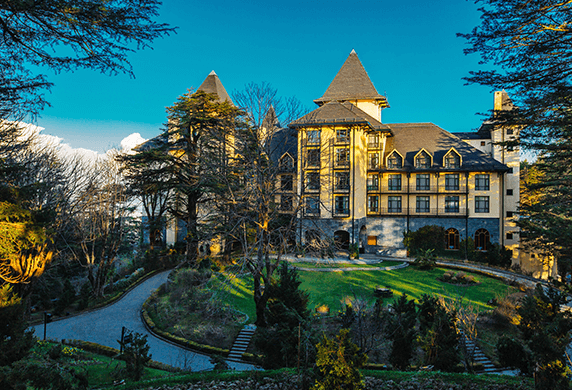 Wildflower Hall, Shimla in the Himalayas – An Oberoi Resort featured on the digital edition of Architectural Digest, USA. In “Frozen in Time in the Foothills of the Himalayas: The Ultimate Getaway for the Elite of India’s British Raj”, the writer highlights the journey of Rai Bahadur M.S. Baoshuan at The Oberoi, New Delhi featured on the digital edition of Hindustan Times. Titled "China, beyond Sichuan", Mr. Vir Sanghvi says "I have had the best meal in a long time at Baoshuan with translucent soup dumplings, delicate pork and prawn siu mai, the lightest Wasabi prawns imaginable and even a modern riff on that old British-Chinese restaurant standard: Crispy Aromatic Duck." In "The Oberoi Amarvilas – Ideal Hotel to Best Experience the Taj Mahal", Mr. Matt Long highlights that "Located less than half a mile from the mighty Taj Mahal itself, the Oberoi Amarvilas is without question the best way to visit and experience this world wonder. No other luxury hotel in Agra is as close and none other offers the immersive experience quite like the Oberoi does." The Oberoi Amarvilas, Agra featured on the digital edition of Travel + Leisure, USA. Titled "See the Taj Mahal Right from Your Room at the Oberoi Amarvilas, Agra", the writer highlights that The Oberoi Amarvilas, Agra's "Mughal-inspired design — sumptuous interiors, terraced lawns, reflection pools and pavilions - transports guests to another era. Rooms also offer unparalleled views of the Taj Mahal." The Oberoi Amarvilas, Agra featured in the print and digital edition of The Telegraph’s Ultratravel, UK. The Oberoi Beach Resort, Al Zorah featured on www.jetsettersblog.com. The Oberoi Group featured on the print and digital edition of People Matters. The Oberoi Group featured on www.skift.com and the sixth anniversary digital book of Skift. In "Luxury Hotelier Oberoi Group Stays the Course by Focusing on One Brand", Mr. Ian Frisch opens with a quote from Tom Lowry saying "There is something to be said for the will to survive through hardship. Other hospitality groups should take note of the Oberoi Group story." The Oberoi, Gurgaon, The Oberoi Sukhvilas Resort & Spa, Siswan Forest Range, New Chandigarh and Wildflower Hall, Shimla in the Himalayas – An Oberoi Resort, featured in the print and digital edition of Daily Mail, UK. The Oberoi Motor Vessel Vrinda, Kerala featured on the digital edition of Andrew Harper, USA. In "4 Exotic Voyages Around The World", Ms. Sheila Gibson Stoodley highlights that "Some places on the map are still best reached by ships. 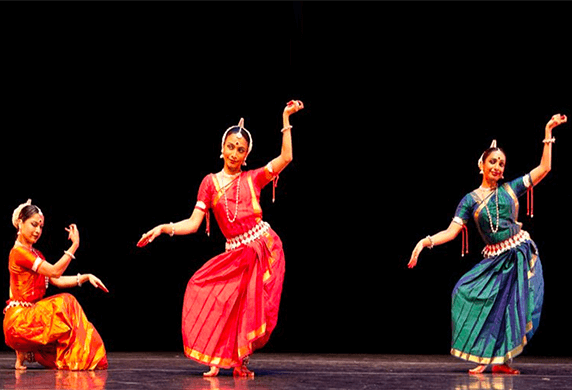 Voyages with exciting and exotic itineraries that remove most of the travails from travel are even better. It's hard to resist the appeal of an itinerary where you claim a generously sized cabin, unpack once and let the destinations come to you." The Oberoi Motor Vessel Vrinda, Kerala featured on the digital edition of Forbes, USA. The Oberoi, Mumbai featured on the digital edition of GQ, USA. Titled "Mumbai: Where to Eat, Drink, Shop, and Crash", Ms. Natalie B. Compton opens the piece by saying "Sometimes moving through Mumbai can feel like that scene in Titanic, when Jack twirls Rose around at that super-lit party downstairs: The world is spinning and spinning and you can't really focus on anything, but there are lots of colors and you're very happy." The Oberoi, New Delhi featured on the digital edition of Hindustan Times. The Oberoi, New Delhi featured on the digital edition of Robb Report, US. The Oberoi Philae, Luxury Nile Cruiser, Egypt featured on the digital edition of Forbes, USA. The Oberoi Spa at The Oberoi Sukhvilas Resort & Spa, Siswan Forest Range, New Chandigarh featured in The New York Times. In "This spa can actually help you bring down your biological age", Ms. Sneha Mankani highlights that "Swaddled in a dense deciduous forest is a haven where peacocks waltz around your garden, butterflies, ducks and bees are your neighbours, and sun salutations and traditional Ayurvedic cleanses are a part of your daily routine." The Oberoi Sukhvilas Resort & Spa, Siswan Forest Range, New Chandigarh featured in the list of Best New Hotels in the World by Town & Country, USA. Titled "The T&C Hotel Awards: The Best New Hotels in the World", Ms. Klara Glowczewska highlights "From urban oases to island idylls, wilderness outposts to gastronomic getaways, here are some outrageously wonderful new places to stay." The Oberoi Udaivilas, Udaipur featured on www.luxurylaunches.com. 'Unforgettable Holidays' offer featured on the digital edition of Vogue, India. 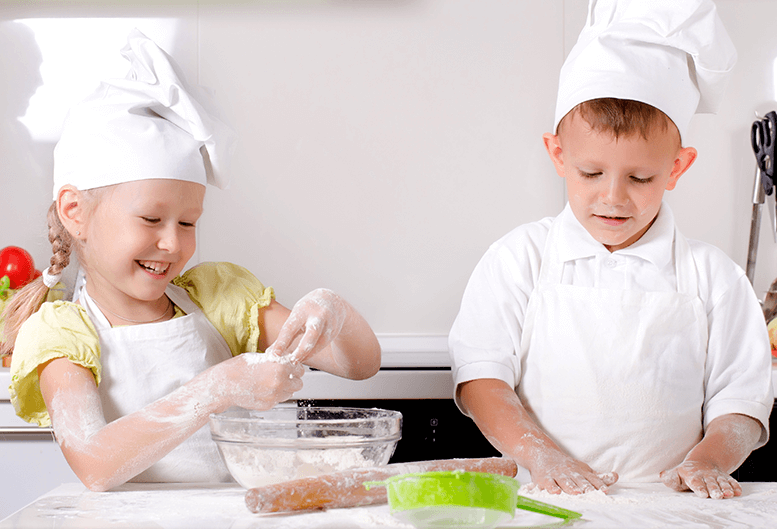 In "Planning a family getaway? Here's where you can have the perfect stay", Ms. Raveena Shahpuri highlights "The monsoons are just not complete without a big family getaway, because there are only a few better ways to travel than with your loved ones when the weather is so good. While you get excited for the much-needed downtime with your clan, zeroing in on the perfect spot with everyone's interests in mind isn't always easy." Oberoi Hotels & Resorts featured on www.businesstraveller.com. Oberoi Hotels & Resorts featured on the digital edition of The Toronto Star, USA. Titled "Comfort and Care Taken To New Levels", Ms. Linda Barnard opens the piece by saying that "Maybe it was the rose petals showered from above as we arrived, or the sachets discovered tucked into luggage, the cleaning kit left beside an iPad or the welcoming ceremony at each hotel. No, it was definitely the pony." The Oberoi Amarvilas, Agra featured in the digital edition of Robb Report, US. The Oberoi Amarvilas, Agra and The Oberoi Udaivilas, Udaipur featured on the digital edition of Elite Traveler, US. Appearing in the Special Travel Issue of the print edition, The Oberoi Amarvilas, Agra has been featured in “Food & Wine's Travel Awards”. Featuring a full page image of the poolside at The Oberoi Amarvilas, Agra as the “perfect lunch spot” by the editor of the magazine, the luxury resort has been highlighted under "Live Like a Prince". The Oberoi Amarvilas, Agra featured on www.revistavanityfair.es. 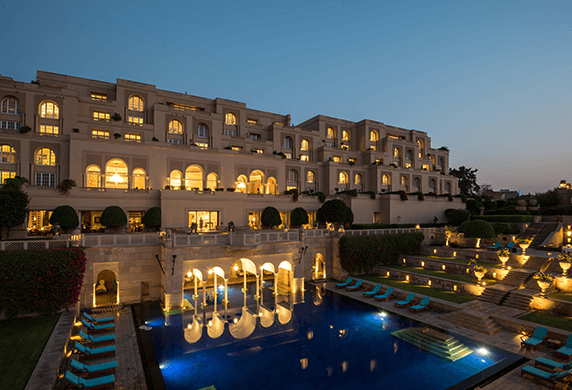 Listing grand and luxurious suites from around the world, the article highlights The Oberoi Amarvilas, Agra as "one of the few hotels that offer views over one of the seven wonders of the world". Merely 600 metres from the Taj Mahal and equipped with a telescope to get a closer look at it, the writer highlights that the Kohinoor Suite at the resort provides the best panoramic view of the mausoleum. The Oberoi Amarvilas, Agra featured in the digital edition of The Gentleman's Journal, UK. The Oberoi Beach Resort, Al Zorah featured in the print and digital edition of Russian Emirates. Opening the piece with a brief description of Al Zorah as a destination, the writer highlights the location, luxury and accommodation at the resort saying that the unique aesthetic design of the resort and the abundance of natural light and ocean species give it a special charm. The Oberoi Beach Resort, Al Zorah featured on the digital edition of The Week, UK. The Oberoi Beach Resort, Al Zorah featured on www.recommend.com –USA. Titled "The Oberoi Beach Resort, Al Zorah Makes Grand Debut in UAE", the writer of the article highlights that "nestled on 247 acres of protected mangrove forest", The Oberoi Beach Resort, Al Zorah - "the luxury destination resort"
The Oberoi Beach Resort, Al Zorah featured in the digital edition of Robb Report, UK. The Oberoi Beach Resort, Al Zorah has been featured on the digital edition of The Economic Times. Aptly titled "The Oberoi expands in UAE, opens an ultra-luxe beach resort in Al Zorah", the writer opens the piece by saying that "The Oberoi has opened its new resort in Al Zorah. Set within 247 acres of rich ecological wetland in Al Zorah, the resort is in line with the group's focus on luxury." The Oberoi Beach Resort, Al Zorah featured on Travel and Tourism News Middle East (TTN). Titled "The Oberoi Beach Resort, Al Zorah Makes Grand Debut in UAE", the writer of the article highlights that "nestled on 247 acres of protected mangrove forest", The Oberoi Beach Resort, Al Zorah - "
The Oberoi Beach Resort, Al Zorah featured in the print and digital edition of Hotels Magazine – USA. The writer of the article titled "Hot Openings: Oberoi Beach Resort Al Zorah" opens the piece by saying that "the hotel was master planned by Solidere International and a joint venture with the Government of Ajman. Set within 247 acres of ecological wetland, Al Zorah is inherently bio diverse and is home to almost sixty species of birds and marine life." The Oberoi, Dubai featured in the print and online edition of www.dmm.travel.com, Germany. The report titled 'The Five Best Business Hotels of Dubai' highlights The Oberoi, Dubai as No. 1 in ranking. It also points out that the hotel has been awarded the best business hotel of Dubai twice by Business Traveller Awards Middle East 2016. The Oberoi, Dubai featured on www.travelweekly.com. The article highlights the launch of Two and Three Bedroom Family Suites along with the special ‘Summer Family offer’ and gives the link for reservations. The Oberoi, Gurgaon featured in Conde Nast Brides, UK. The hotel is included in the article titled 'Triple Hop Wonders' that highlights The Oberoi, Gurgaon as having 'set a new benchmark for urban hotels' in the country. 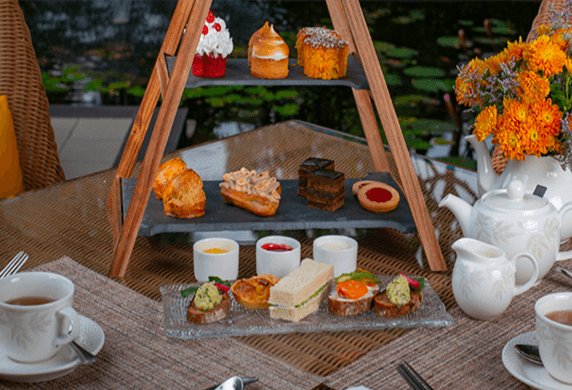 Having mentioned the spa, salon, The Oberoi Patisserie and Delicatessen and the luxury arcade at the hotel, the writer points out that 'indulging yourself could not be easier' as the hotel is a huge destination for local lovers 'looking to spoil each other'. 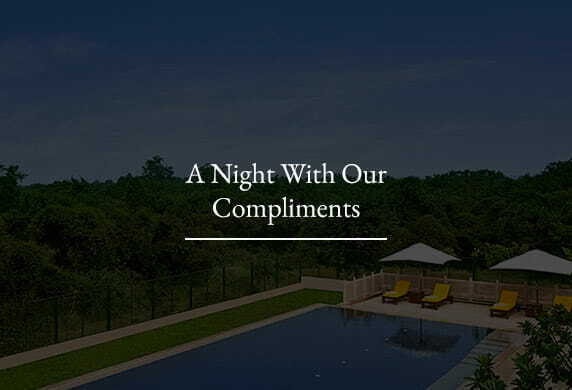 The Oberoi Hotels & Resorts' website was recently revamped. As a result, some of the previous links are not available. Please accept our apologies for the inconvenience. was featured on www.travelandleisure.com , USA. The Oberoi Philae, Luxury Nile Cruiser, Egypt featured in Condé Nast Traveller, India. Aptly titled "On The Nile", Ms. Fatima Bhutto chronicles her cruise down the legendary river Nile and explores Egypt’s unique history in her 16 page feature significantly highlighting the service excellence on board The Oberoi Philae. The Oberoi Sukhvilas Resort & Spa, Siswan Forest Range, New Chandigarh and Wildflower Hall, Shimla in the Himalayas – An Oberoi Resort featured on the print and digital edition of Financial Times, UK. The Oberoi Sukhvilas Resort & Spa, Siswan Forest Range, New Chandigarh featured on the HOT list of Conde Nast Traveller, India. 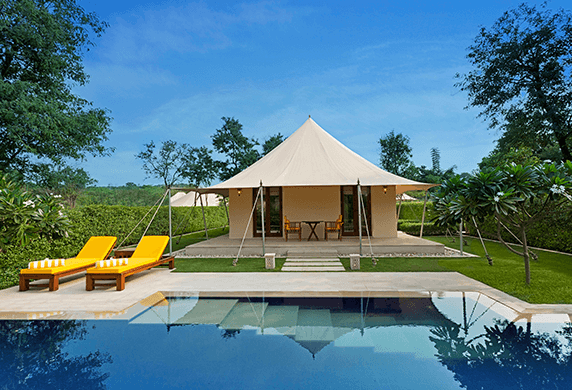 Highlighted under "These are India’s hottest new hotels", The Oberoi Sukhvilas Resort & Spa, Siswan Forest Range, New Chandigarh, the writer says, "The 60-key property is the Oberoi group's first destination spa and resort. The soon-to-open 12,000sqft spa will be the main draw, with hydrotherapy, an infrared sauna, a Turkish hammam and a Roman Tepidarium, as well as customised programmes for stress/weight management, detox and rejuvenation." The Oberoi Udaivilas, Udaipur featured on www.fodors.com. A roundup of "the most exquisite pools from around the world", the writer of "15 Most Luxurious Hotel Swimming Pools in the World" emphasies that "after a long day of traveling or sightseeing, there’s nothing like a refreshing dip in the pool." The Oberoi Udaivilas, Udaipur featured on www.cntraveller.com, UK. The article ‘The Best Swimming Pools in the World’ highlights the pool at The Oberoi Udaivilas, Udaipur located on the shore of Lake Pichola. Wildflower Hall, Shimla in the Himalayas – An Oberoi Resort featured on www.afar.com – USA. The Oberoi, New Delhi featured in the print and digital edition of Herald Tribune, USA. The Oberoi, Mumbai was featured in Condé Nast Traveller, Middle East, March 2016 edition. Calling The Oberoi, Mumbai an 'integral part of the city's landscape', the one page exclusive article recommends the hotel saying, 'there are few places that give you as perfect a sense of having arrived in this coastal city as one of the ocean-facing suites at The Oberoi, Mumbai'. The Oberoi Philae, Luxury Nile Cruiser, Egypt was featured in Condé Nast Traveller, Middle East, March 2016 edition. The luxury cruiser is highlighted in the 'Most Wanted' section, with a special mention of its on-board offerings – state-of-the-art movie theatre, 24-hour gym, The Oberoi Spa. The dining options and uninterrupted views from the cabins are also given a special mention. The Oberoi, Bali, featured in the digital edition of Jetsetter magazine, New York. We are delighted to share that The Oberoi Sukhvilas Resort & Spa, Siswan Forest Range, New Chandigarh featured on the digital edition of Architectural Digest, USA. The Oberoi Udaivilas, Udaipur featured on www.architecturaldigest.com - USA. A roundup of "the most exquisite pools from around the world", the writer of "15 Most Luxurious Hotel Swimming Pools in the World" emphasies that "after a long day of traveling or sightseeing, there7#39;s nothing like a refreshing dip in the pool." The Oberoi Udaivilas, Udaipur featured on www.mystatesman.com, USA. The article on exciting hotel deals for the long-weekend, recommends the 'Himalayan Vacations' and 'Unforgettable Holidays' offers. Ziya at The Oberoi, Mumbai featured in Hotels magazine - print and e-magazine.